How is it Friday already?! This week has been a blur. Does anyone else find their weeks either last 187 days long or last a hot minute, leaving you to wonder how yet another week flew by?! I mean don’t get me wrong, there’s nothing worse than waking up on a Friday morning only to realize its Tuesday and that your weekend is still four days away, but some weeks I can’t seem to catch my breath and desperately wish there were a way to press pause. We have so many exciting things happening here on the blog (that I can’t wait to share soon!) and while I often have to pinch myself that this is my job, it does require a whole lotta hustle. Our family getaway to Cuba is just days away and this mommy is ready to have her toes in the sand and a do not disturb state of mind! But before we jet set off to warmer weather, here’s this week’s Bliss List. While we’re away on vacation we have family caring for Gatsby, neighbours watching over our home, and some pals collecting Ella’s school work; so many people are happily lending a hand. Delivering some homemade chocolate chip cookies to our friends and family once we’re home seems like the “sweetest” way to extend our gratitude. Emily Schuman claims these cookies from the Cupcakes and Cashmere archives are the best chocolate chip cookies, ever. I’d better plan on baking a double batch! I frequently try to search for natural alternatives when it comes to reaching for remedies and treating ailments, so in turn, I’ve played around with several different essential oil concoctions. 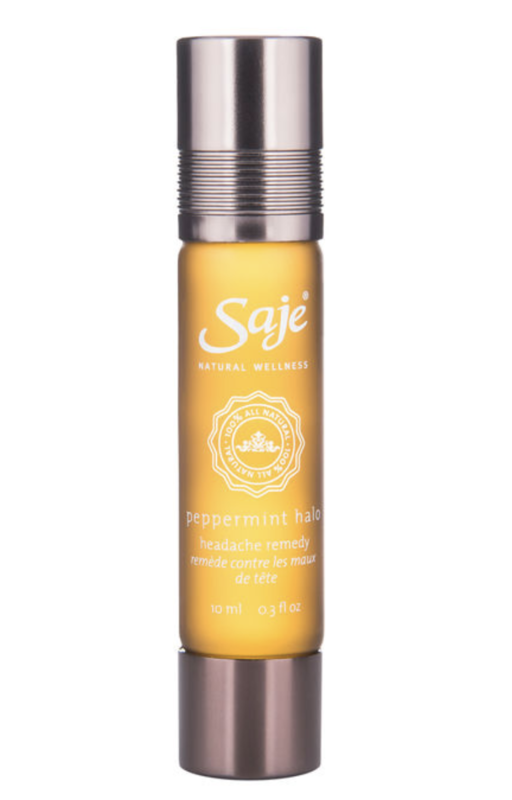 And while I certainly do love many products, I’m currently obsessed with the Peppermint Halo roller from Sage Natural Wellness. It’s intended for headaches and migraines (which I do use it for), but I find myself reaching for it almost daily. I love rolling it down my neck and across my hairline if I’m feeling overwhelmed or flustered. It immediately cools me down and helps me approach things a little more level-headed. I have them stashed all over the house and always carry one with me! 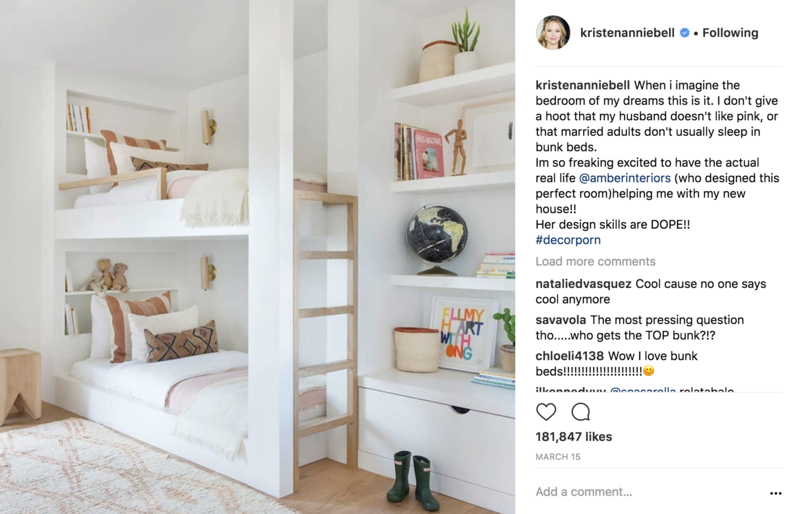 Kristen Bell (my total girl crush) recently shared that she’s hired Amber Lewis (my total design crush) to handle the remodel of her Los Angeles home. I already stalk Amber’s design feed daily on Instagram (@amberinteriors – you totally should too) and will be eagerly awaiting sneak peeks of Kristen’s new home. Domino’s online publication contributed to the buzz while sharing some of their own interior design predictions for Kristen’s family home, drawing from Amber’s portfolio. Everything You Need to Know about Kristen Bell’s Favorite Designer is definitely worth a read, if only for a glimpse at the boho-chic, California cool vibes that Amber is known for effortlessly executing. I think it’s safe to assume that the interior design world is just as pumped about this collaboration as I am! I’ve been a longtime fan girl of Shea McGee from Studio McGee and McGee & Co. (I mean, who isn’t?!) I’m constantly scrolling through their drool-worth Instagram feed when I need inspiration or find myself in search of a jumping off point for one of our own projects. 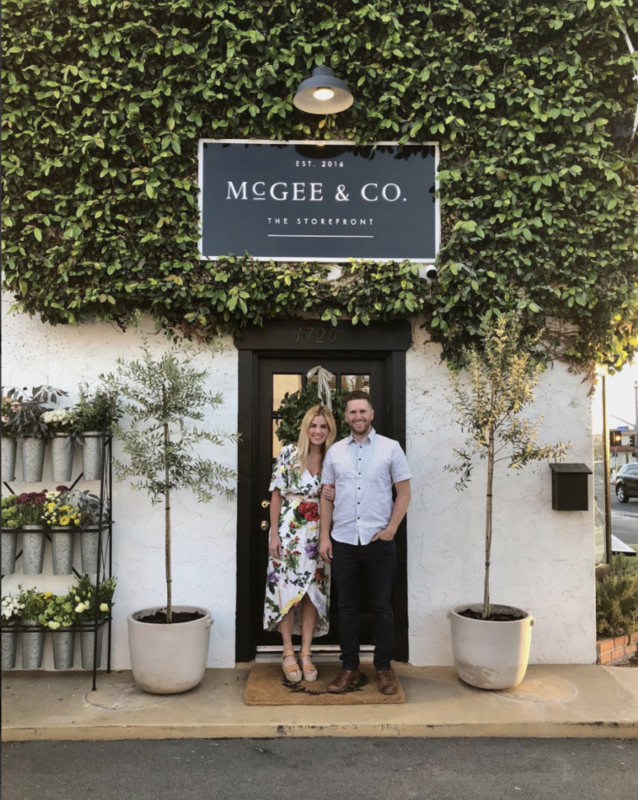 Well McGee & Co. just opened their first brick and mortar store in Orange County, California (I had been following along through instastories) and it looks too good. I’m definitely wishing I could convince Craig that we need another California trip. In the meantime, I’ll settle for their online shop which you know I love! 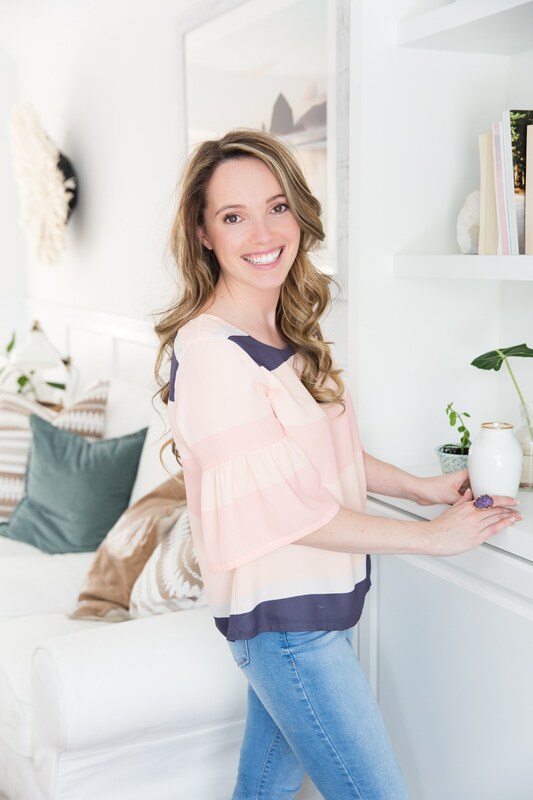 Fellow blogger Julia Hengel from Gal Meets Glam recently shared five beauty products she currently loves and I couldn’t have been more curious to find out what items made her list. Among the five, it was the jade facial roller that immediately piqued my interest. I rarely get as much sleep as I need and sometimes I wake up looking a little too far from rested, so I’m definitely intrigued by the benefits this tool claims to offer. I’m debating between the jade roller Julia recommended or this rose quartz roller, should I buy into the hype? This spring Craig and I have hopes of painting the exterior of our house and I am so back and forth on which direction to take. I find myself drawn to bright white homes and how crisp and classic they appear – just like a white kitchen, I think they’re timeless. But alternatively, dark and moody exteriors seem to bring modern charm to a house and I find myself equally enticed by black or sooty charcoal grey home. I am definitely torn. I think I may need to put this to a vote – stay tuned! Ok, time for me to begin packing – is packing anyone else’s least favourite part about taking a vacation? No wait, unpacking. That’s definitely my least favourite part. Maybe I’ll do an instatory and “ask the audience,” you guys can tell me what I should bring along or leave behind. Does that sound like productivity or procrastination? Probably a little bit of both, ha! I’m looking forward to hearing from all of you this week – I definitely want to know who else deems a facial roller an essential part of their skin care regime and why. 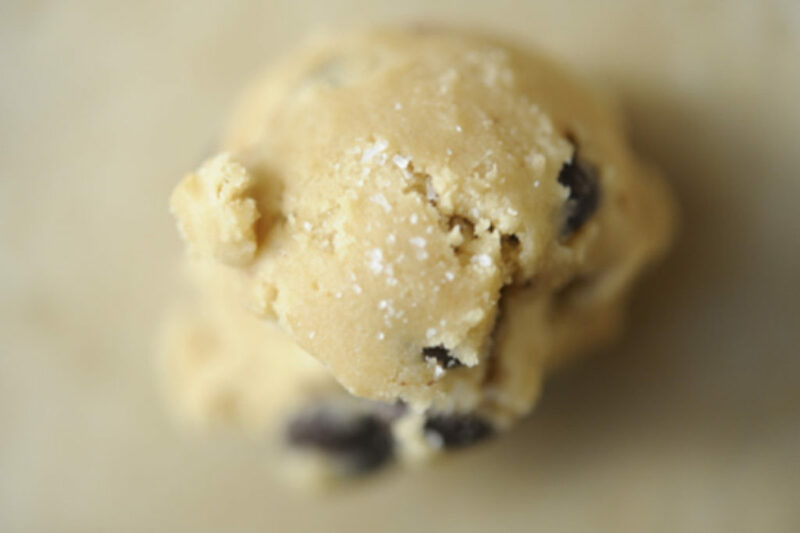 Do you have a recipe for the best ever chocolate chip cookies? And please weigh in – light and bright or dark and moody? 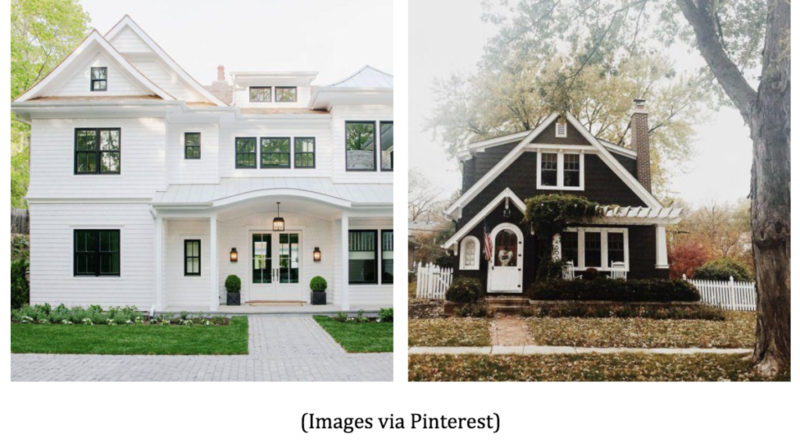 What would you choose for your exterior?